I was positively flabbergasted when I watched YouTube uploader RavenwestR1's mashup of Forza Horizon 4 and Grand Theft Auto 5. The level of attention to detail required to manipulate one game to produce an essentially identical video is astounding. 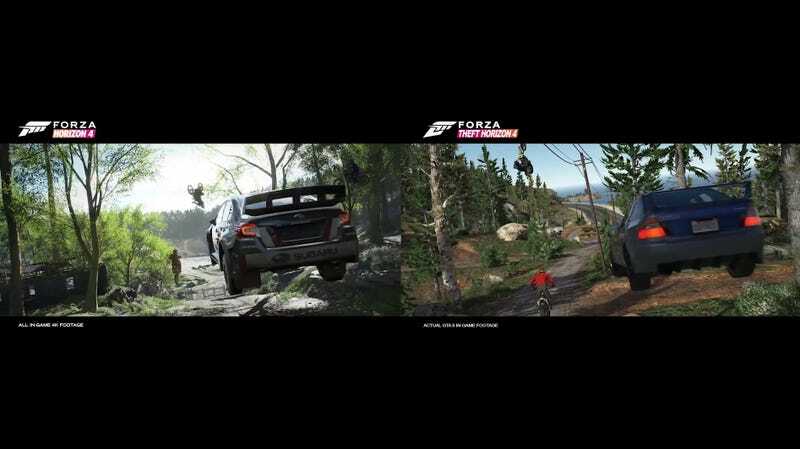 They had to have been working overtime to produce a video so faithful to the source material in just the few short weeks since the Forza trailer dropped.